The Matthews Management System, or MMS, is a global group that brings the LEAN methodology to all of Matthew’s locations. This group works in tandem with the production facilities, managers and office personnel to help improve, grow and become more efficient with a greater emphasis on quality. We at the Everlasting/Elberton location are happy to have been assigned our Continuous Improvement Engineer, Frank Perriello. 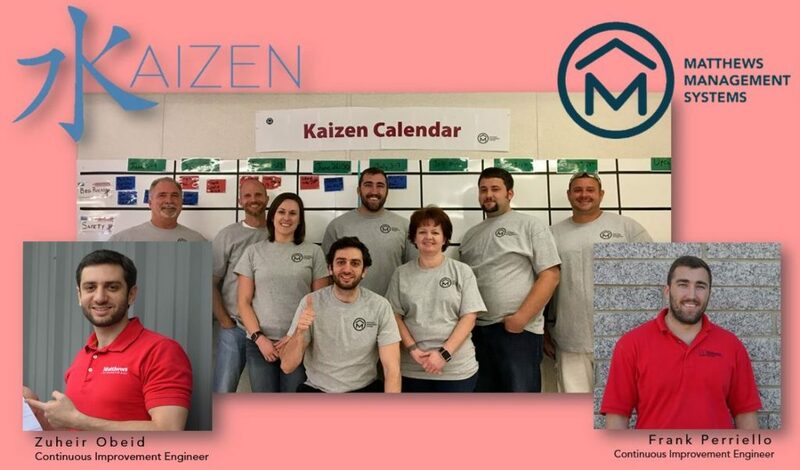 Frank and his colleague Zuheir Obeid have already held numerous Kaizen workshops that have led to great changes in our internal systems and they have also implemented SQDV boards that help managers track and resolve quality issues. We are excited to see this program continue to evolve and improve our quality of change, quality of work and most importantly our quality of product. Proud supporter of our local High School Football Team!